Laidback Lucio Ballpoint Pen has a definite corporate edge for that professional but efficient promotion. 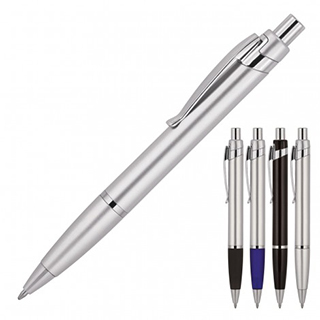 Featuring a retractable ballpoint operated by push button, this plastic promotional pen can be pad printed with your logo to create an attractive gift. Black ink from quality reliable Parker type refill (1.0mm - 1,000m).